The Holy Cross religious of the Shrine of Basil Moreau, along with a team of staff and volunteers, are at your service to help you prepare and to host your visit. Why come to the Shrine of Basil Moreau? Blessed Basil Moreau is remembered for his holiness of life and for his extraordinary zeal in the service of the Lord and His Church. The ministry and apostolic works of the religious family of Holy Cross that he himself founded in response to the inspirations of grace have touched the lives of millions of people throughout the world. To visit the Shrine of Basil Moreau is to visit the very place where the dream began…the dream that exists as a reality today in parishes, educational institutions, and works of charity and missionary outreach that are present in 16 countries and among 10 different language groups. To visit the Shrine of Basil Moreau is to learn about the spiritual path of this holy man of God – a spiritual path that aims to draw people closer to Christ and His Church. 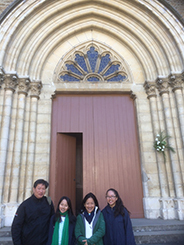 To visit the Shrine of Basil Moreau permits you to walk in the footsteps of the Holy Priest of Le Mans and to explore the places that he himself knew well: the village chapel, the place of solitude, the house of studies, the majestic cathedral. Perhaps most important of all, to visit the Shrine of Basil Moreau is to draw near to his tomb, to offer a prayer of thanksgiving…to ask for his intercession. A visit to the Shrine of Basil Moreau and to the sites related to his life and witness is a journey that is both faith-renewing and life-changing. Places like that are very rare. Take a guided tour of the Shrine of Basil Moreau, the church of Our Lady of Holy Cross. Consecrated in 1857 and restored in the 1930’s, this beautiful 14th century Gothic-style church, which Basil Moreau worked so hard to build, reveals in its artwork and architecture the history and spirituality of its author and of the religious community he founded. Go on a guided walking tour of sites in Le Mans related to the life of Blessed Basil Moreau, including the awe-inspiring gothic cathedral of Saint Julien, the church of the Visitation where Moreau was ordained a priest, and the former Saint Vincent Seminary where he first gathered around himself the small group of seminarians and diocesan priests who would later become the first priests of Holy Cross. Visit the Solitude of the Savior, home of the Marianites of Holy Cross. See some of the personal items of Blessed Basil Moreau – including his books, chalice, vestments, religious habit, and profession cross – now lovingly preserved by the women’s branch of the religious family of Holy Cross. Visit, too, the very room where he would stay during days of solitude and retreat. 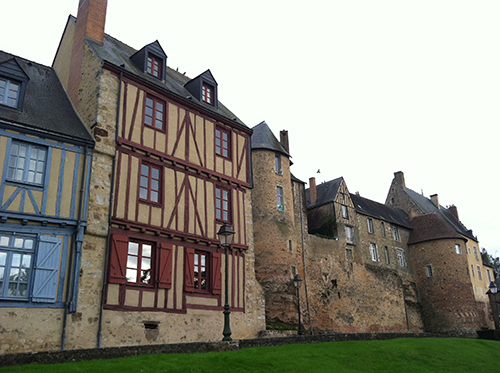 Discover the village of Laigné-en-Belin. Stand in the very place where Louis and Louise Moreau raised Basil and his thirteen siblings. 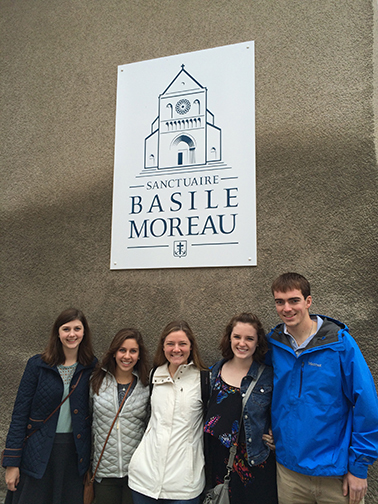 Celebrate Mass in Blessed Basil Moreau’s hometown church. 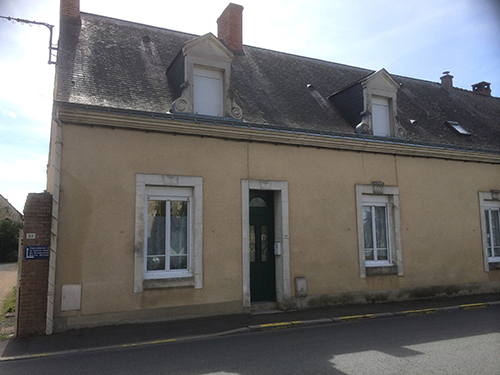 Travel to Ruillé-sur-Loir, the place where Father Moreau assumed authority over the Brothers of Saint Joseph, a group of zealous laymen committed to the mission of Christian education. Visit pilgrimage sites Blessed Basil Moreau himself went to on pilgrimage, including the glorious cathedral of Notre-Dame de Chartres and the humble chapel of Notre-Dame de L’Habit. 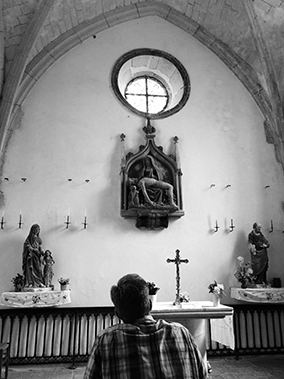 Visit the abbeys that were so important to the spiritual life of Basil Moreau, including the Trappist Abbey of Mortagne-au-Perche where “Holy Cross was born,” and the famous Benedictine Abbey of Solesmes, where the melodious hymns of Gregorian Chant continue to echo to this day. 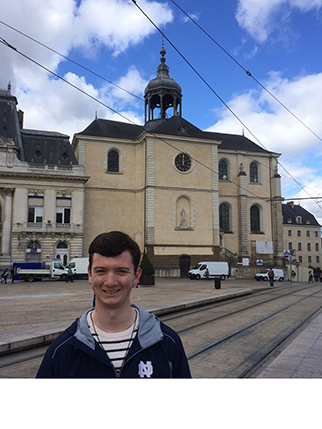 In Paris, visit the church of Saint Sulpice and the Solitude of Issy, where Blessed Basil Moreau was formed in the French School of Spirituality. A visit to Paris should also include the famous shrine of Notre-Dame des Victoires – where Father Moreau invoked the intercession of Our Lady – and the celebrated Cathedral of Notre-Dame, where Father Moreau also prayed and even climbed to the top of the tower. 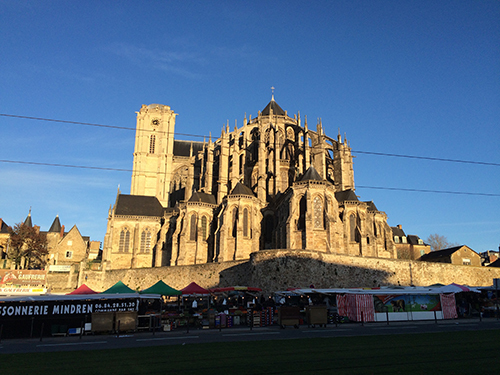 Don’t forget that a visit to the Shrine of Basil Moreau also includes opportunities to experience French cuisine and culture, as well as the chance to visit sites of historical and architectural interest in and around Le Mans, including the ancient Roman wall and the medieval village. 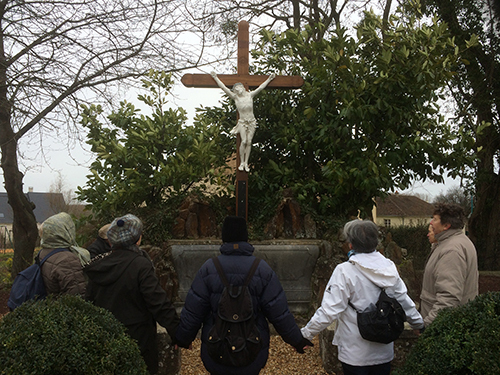 Whether it’s a day of recollection, a directed retreat, a traditional pilgrimage, or a combination of these for you or your group, we will do our best to accommodate your needs. Feel free to contact us! Please just keep in mind that it is best to plan your visit at least 4 to 6 months in advance.